After celebrating 40 Years of building guitars, the list of Famous Artists that Play Taylor Acoustic Guitars is mounting including One Direction. Yep! I’m shocked to as I didn’t know that boy bands played instruments, but this one does. One don’t have to go far to find these guys. Hell the media has got them plastered every where. But then you’d never expect anything less from The X Factor’s “Simon Cowell”. To the best of my knowledge these guys are a British/Irish band. As I said you can find them anywhere you look, but if your so inclined to have a closer look at them. You can find them here. 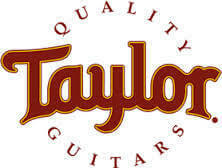 Well as you’ve just heard in the video above Taylor Guitars builds some very nice sounding Acoustic Guitars. Even unplugged these guitars have a smooth sound, a balanced tone, they have a loud volume naturally and most of all Taylor Guitars are easy to play. Master Luthier had a lot to do with the redesign or Taylor’s 800 series guitar. Beside some of the custom work done to bracing and materials of this acoustic, he has installed Taylor’s new Expression System pickup. So no matter what style of music your playing from jazz, blues, folk, strumming, fingerpicking, alternate tunings this 800 series Taylor Acoustic Guitar will be all that you ever need. You can check this guitar out at your local dealer. If you happen to be one of those players who needs a quality acoustic guitar but want to have it more customized to you. Then you can start right here and Find Your Fit. Well there you go! It was nice to find out more about Taylor Guitars, the Luthiers that build them and the artists who play them. Until the next time we meet I’m going to be looking for some Custom Acoustic Guitars and Luthiers that are out of (what you might call) the main stream. Bookmark Treble Clef Reviews then check back in to see what I’ve found for you. Finally, Do you know what Airlines lets your guitar fly with you?